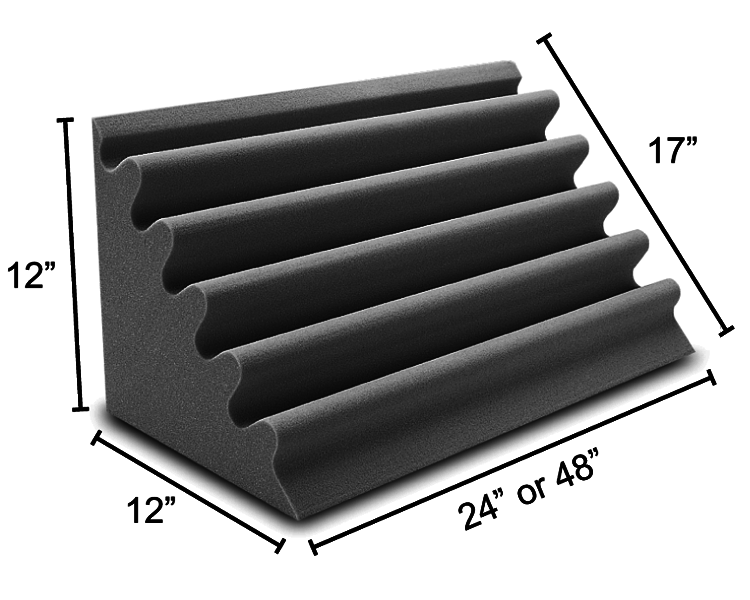 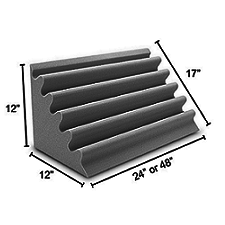 The Bermuda Triangle Trap® is a broadband acoustical foam absorber designed to be mounted in room corners as a bass trap. 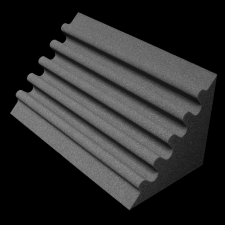 It is especially useful to trap the bass that is more intense at the intersection of walls. 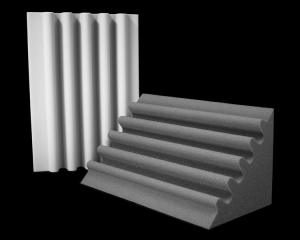 The rolling pattern provides increased surface area for greater sound absorption. Sound enters the corner triangle trap and is never heard from again. 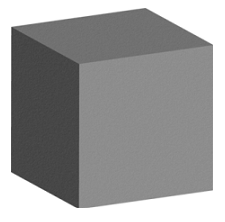 Corner connector cubes are available to mate Bermudas at ceiling and wall intersections. The Bermuda Triangle Trap® complements the surface pattern of the Sound Cylinder™.